Petra Diamonds (LSE: PDL) announced results Wednesday for the first three months of 2013 indicating a 4% increase in production year on year. Across its mine operations, the company extracted 647,248 carats compared to 622,508 carats for the same period in 2012. Revenue for the period was $105.7 million, up 8%, compared to last year at the same time when it was $98 million. The boost came from more total carats being sold during the period, as well as two large gems — one from the Cullinan mine and one from the Finsch mine — fetching $3.8 million. Petra also said the rough diamond market continues on a firmer trend, in play since the end of 2012, shored up by constrained global supply and steady consumer demand. The company said it was on track to meet its production target of 2.65 million carats for the financial year. Last year, Petra listed its South African Fissure mines — Helam, Sedibeng and Star — for sale but it said no acceptable offers were received. The company has decided to keep Helam running regularly but downscale the other two mines. It is still open to purchase offers. 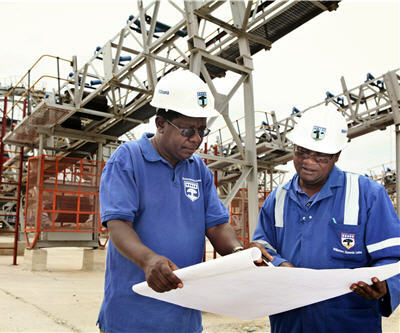 Petra operates seven mines in South Africa and one in Tanzania.